At Love Maps On we are passionate about maps, not just for their practical uses but for their overall artistic and decorative qualities. 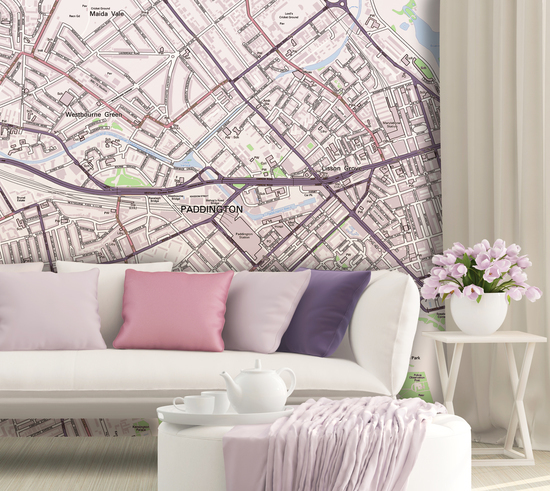 Our specialist team of Cartographers use their many years of experince to create personalised mapping products including wallpapers, canvases and gifts. We work closely with our mapping partners to enable us to produce quality products with the most up to date mapping available as well as a large range of beautiful hand drawn vintage maps, all of which can be personalised by location. Personalised maps and map art can create a unique and fascinating focal point for any room in the house, whether it's a wallpaper, canvas print or gift. Our aim is to continue to add to our library of map images and expand our product list to include framed images, cushions, gifts, blinds and other homeware items. All of our products are fulfilled and delivered by third party partners. They endeavour to dispatch all orders by the lead times displayed however these are a guide and may be affected by circumstances beyond reasonable control. Please note if you have ordered a product that requires a proof our delivery time may be extended depending on how long it takes to sign off the proof. If you are ordering products for a gift please allow plenty of time especially in the lead up to Christmas. All delivery information relates to delivery to UK postcodes. Deliveries to other destinations (including the Republic of Ireland) will take longer. If you have ordered more than one product, they may arrive separately. Our products are bulky and do not fit through letterboxes. Please ensure that delivery can be taken for your order. In some cases where we have attempted to, but have been unable to deliver your order through means outside of our control, responsibility for redelivery and the costs involved will be borne by you.